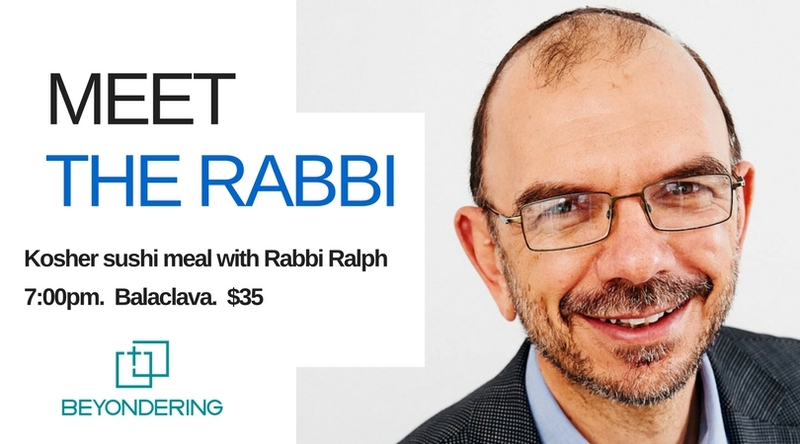 We will be meeting with Ralph Genende – Modern Orthodox Rabbi at the Caulfiled Hebrew Congregation. We will share a kosher meal together (of sushi) and create an opportunity for us to learn about Judaism and it’s particularities. This will be a great chance broaden our understanding, ask questions and be challenged about our own beliefs, ideas and worldview. Tickets are limited – only 20 available. They must be pre-purcahsed for $35 which includes a set menu sushi dinner.